With Book Week on its way, there's a good chance that your children will be asked to dress up as their favorite literary character by teachers. And, even if your little ones are too young to be in school, dressing up and acting out stories is a great way to foster a love of reading in even the youngest of children. No matter the setting, the best Book Week costumes for kids are the ones that come from the heart: A book that your child truly loves. Here are some of our favorites. 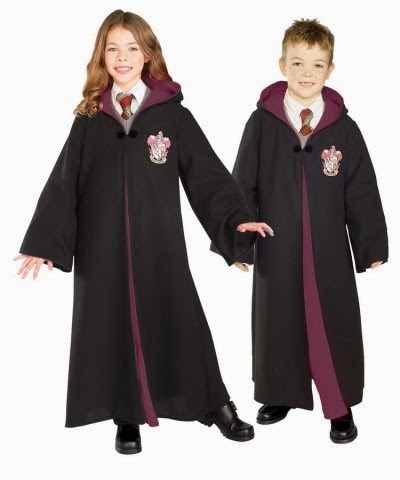 Older children who have enjoyed J.K. Rowling's landmark series will love the chance to dress up as one of their heroes from the books. Whether it's Harry, with his round glasses and lightning bolt scar, or Hermione, with her trademark frizzy hair and school robes, it's easy to cobble together a realistic costume from items found in secondhand shops or even from around your home. 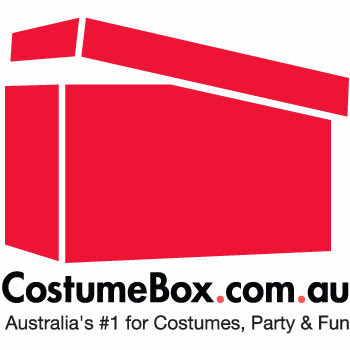 Remember: Book Week costumes for kids don't need to be complicated for children to have fun. What literary roundup would be complete without a mention for dear Dr. Seuss? Thanks to his many books, your children would have a bevy of characters to choose from. If they like playing the villain, some green felt and a frown would make a passable Grinch, while a sweet disposition, pajamas and braided blond hair makes a Cindy Lou Who. Of course, red onesies and blue hair, paired with a paper disc declaring "Thing 1" and "Thing 2" would be an excellent choice for twins, siblings or even best friends at school. What would we do without the tales of "Matilda," "Fantastic Mr. Fox" or "Charlie and the Chocolate Factory?" And, thanks to the amazing descriptive imagery that Dahl uses in all his books, his characters make for excellent Book Week costume ideas. A fox costume can be made easily with a fox mask and a long, fluffy tail, while Oompa Loompas can be made from some silly orange face paint and suspenders. You could even have some wicked fun by dressing up as the Grand High Witch from his classic, "The Witches." Don't forget the old classics when brainstorming Book Week costume ideas. The Brothers Grimm and Hans Christian Anderson were masterful storytellers who created characters that have lasted centuries. A classic princess in the same vein as Rapunzel, Cinderella or the Snow Queen would be a no-brainer for girls, while boys might prefer characters like the Huntsman or even sneaky Rumpelstiltskin. Read through the classics and see what inspires you – and your kids. Even the smallest of children can benefit from Book Week costume ideas, even if the only reading they do is on your lap. The story of "Where the Wild Things Are" might be short on words, but not on imagination. Dress up a toddler as the cranky Max, who refuses to eat his dinner and wears pajamas all day – sound familiar to you? It's a comfortable option for younger children who still want to take part in the festivities. Of course, older kids might appreciate getting to dress up as Max – or the Wild Things – too. Finally, if you are parent to an ultimate girly girl, then one of the best Book Week costume ideas is "Fancy Nancy," from the "Fancy Nancy" series written by Jane O'Connor. Nancy loves to dress up in tutus, pearls, lipstick and purses, so it's a natural fit for the child who is constantly digging through your closet and going through your jewelry box. 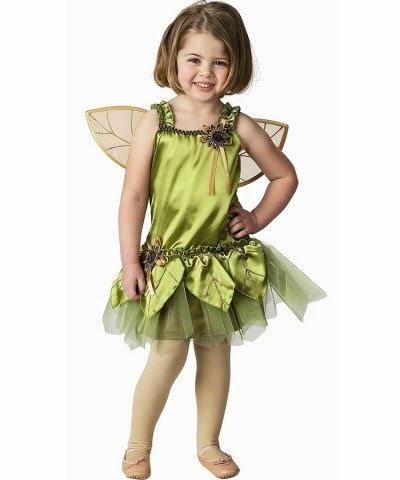 It's also a costume that works well for a tight budget, since there's a good chance you already have many of the costume components simply laying around your house waiting to be used. Give your children the gift of stories coming alive by taking a part in Book Week with gusto. Instead of simply reading along, dressing up and acting out some of their favorite scenes can help foster a healthy interest in learning and reading, especially for those who learn visually. And hey, you might find yourself itching to be part of the action as well – Willy Wonka, anyone? As far as birthdays go, turning 30 can be one of the most difficult. It's when you officially wave goodbye to your fun and fancy free days of young adulthood and head straight into what might seem like a duller way of life. But 30 doesn't have to be a negative birthday! Whether you're the one celebrating or you're planning a party for someone else, there are ways to make 30 the best birthday yet. Try some of these 30th birthday party ideas and you might find that 30 suits you after all. Milestone birthday s are a great way to take stock of how far you've come, where you are now and where you plan to be in the future. Why not take the opportunity to cross something off of your bucket list – your list of things that you'd love to accomplish during your life. Hey, you might not ever get another chance to go skydiving, ride a mechanical bull, perform improve or go to the hot spot restaurant everyone is talking about, so do it as a way to celebrate your years. Go big or go home! If you really want to ring in your 30th year with a bang, throw – or plan for a friend – huge themed birthday party, completed with costumes, décor and a menu that goes with the theme. We love the idea of a 30th birthday Gatsby bash, complete with period-style clothing, plenty of champagne flutes, art nouveau decor and of course, Jazz pumping through the speakers. It's an elegant yet outrageous way to greet your 30s in style. If you're not really one to throw a party or make a grand gesture, perhaps the idea of taking a 30th birthday trip suits you more. Planning a trip – whether it's traveling the globe or exploring an area in your own backyard – can help put things in perspective, unwind and relax as you enter your 30th year. Hey, there's something to be said for 30th birthday parties that involve little more than a tropical drink and toes in the sand. If you're looking for 30th birthday party ideas for a friend, consider throwing a "30 Reasons Why" themed party that reminds your pal just why everyone loves him or her. Invite at least 30 guests and have them prepared with a gift and a short speech that explains why that person loves the honoree. It'll be a special night for the group to share a night reminiscing and talking about what makes that birthday honoree so special to them in their lives. Even if your 30th year doesn't look as good as your 21st, you'll still want to save the memories so you can remember one day. Renting a photo booth doesn't cost much, and is a great way to commemorate your 30th birthday. Of course, you can combine it with other 30th birthday party ideas, but make sure you include plenty of props for guests to dress up and get crazy as they snap shots in honor of the big day. You can give guests copies, but make sure you keep a copy for each so you can scrapbook them later on. While turning 30 might not be the most exciting birthday you've ever had, there's no need to brush it under the rug or ignore the occasion. With the right 30th birthday party ideas, you can ring in that year with a huge bang and prove to everyone that it's bound to be your best. Hosting a roaring 20s theme party? Costume and party ideas!